Prosum - How To Make Sure Your Office Phone System Is Cost Effective. 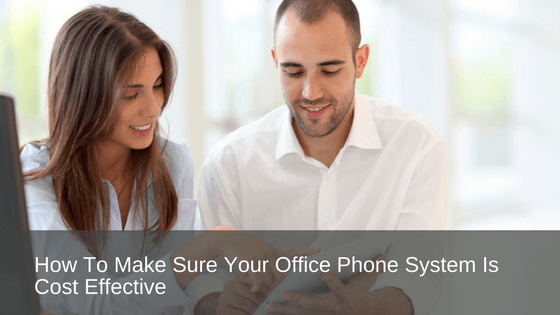 How To Make Sure Your Office Phone System Is Cost Effective. Make Sure Your Office Phone System Is Cost Effective. We all know the high cost associated with maintaining the status quo in any business. The same principle applies to your office phone system. Today we are speaking with David Colletta, managing director of Prosum. In this episode of our interview series, we delve into how to make sure your office phone system is cost effective. David, I understand that a legacy phone system might be costing many companies more money than actually investing in new technology. Tell us about that. David Colletta: That’s right, Caroline. Businesses are spending quite a considerable amount of money on maintenance. That probably is the main cost that I can see in businesses, where we’ve got various size companies spending hundreds and thousands of dollars every year. There are better ways to do that. Secondly, there are other areas that we believe legacy systems cost businesses money. They could be things like the ISDN and PSTN type architectural lines that are actually stored on site. Lines, in general, are what companies use to dial in and out. In the past, you either had what’s known as copper lines, PSTN lines and then you also have digital lines which are known as ISDN. They inherently have a much higher cost than newer type technology that is being deployed today, such as SIP line. We can’t implement new technology on legacy systems. A lot of that cost is almost hidden costs to business. They are paying a higher cost for the infrastructure for them to use and dial out and make calls to customers. Caroline: Out of interest, why is the new technology more cost-effective than what you’ve called the old copper lines? David: To give some perspective, the hardware that goes behind the scenes has become consolidated. We’re using less equipment and technology over the years has become cheaper to an extent, than running hardware based products in rooms to provide the same service. It’s the same with PCs. Over the years, we’ve seen PCs and televisions, become more affordable as more of that technology is released out to market it creates more of a demand and therefore reduces the cost overall. With the older technology though, you tend to find that there’s no improvement from it. There’s no support, and there’s no maintenance. It just sits there. It becomes more expensive over the term and not to mention the amount of space that it takes up. It can also be challenging to get skilled engineers to support the older technology. So, it becomes static, from a cost perspective, as opposed to the newer technology where you’ve got the expertise in the development of that particular product. Even there, it’s ongoing, so it becomes cheaper over the course of that life cycle. Caroline: I suppose, what I’m hearing is, a good example of would be an old car versus a new car. An old car is more costly in terms of maintenance, et cetera. Perhaps you can’t get those parts anymore, so the costs escalate. Whereas, maintaining a newer car is a lot more cost-effective. You’re not throwing as much money at it, as well. David: Absolutely. That’s a good illustration. Your car can be reliable. It can go. It does the job, goes for A to Z, but ultimately we find that things within the car do break down. It’s going to cost some money. There’s going to be things such as connecting your phone. That could be something that’s required. Navigating your phone, that’s required. There are always going to be something in the back end with all the technology that you’re going to need because something’s come out on the market that you’re going to need. You start to feel it when you’ve got old technology at the back end. Once a product starts to head towards end-of-life, we need to look at what we can do to either migrate that out or to upgrade that piece of technology. I suppose Legacy Phones are quite inefficient, as well? David: Where there may be inefficiency is, when people need to communicate, but not by a physical handset. I’ll give you an example. A particular role traditionally may be subject to a desk. The individual will come into the office. Check in. Make their calls to the customers. Do their work. Receive calls. That’s been the extent of their day-to-day role. We’ve seen a greater impact from a more mobile workforce. A good example here is law firms, where they’ve started to work, either from home or they’ve gone away on leave and spent some more time with their kids, but still working away from their day-to-day desk environment. The improved efficiency is where they have been able to then connect back to the office via Softphone. As opposed to having something physical on a desk which, they couldn’t put in their briefcase and take away with them, they now have the ability to combine it all on a PC where all their other business applications are. Make that call. Make and receive their call. That’s where a lot of the efficiency has come into play. Physical handsets are gradually going down from a purchase perspective, over the course of years. We’ve seen a decline in hardware based handsets, but an increase in Softphones which are installed on your PC, your work environment, and headsets as well. Headsets are another area where quite easily, you can integrate your Softphone and also your mobile phone. Take that anywhere. It becomes more of a personalised, that’s yours. Easily portable, and much more efficient than the old type handsets that used to be on your desk. What about the cost structure for phones, and how businesses are not necessarily conducting an evaluation regularly regarding the redundant phones sitting on desks costing them money. David: In a scenario where they’re not actually utilising these phones, it’s still taking hardware to support that particular handset. That desk may be used one day out of the week, or it could be used a week out of the month. We’re finding that open space, and hot desking is becoming quite the norm, now. Open space in newer type offices. People are sharing desks. No one has their own physical desk space anymore. People are working from home. How do you address the issue of not having a handset on every desk? A couple of things that we can look at. Legacy systems, as in customers take their old phone systems and try to make it work in that environment. In that flexible environment. It doesn’t work too well, because that’s where we get that situation where you’ll almost feel forced to go out, to put handsets on every desk to make this work. There is going to be times when people aren’t using those phones on those desks. That ultimately is costing businesses money, because they’re paying for the hardware. They’re paying for support on the devices. Whereas, another strategy is if you look at an approach where you can turn things on and off from the back end, it becomes a lot more cost effective. The way that we do that, you can subscribe to a set amount of users per month, and we can scale them down, or can use it a month on, a month off. You probably find that if you’ve got 100 desks, that only 70 are ever used at the one time. There are newer technologies that are far more cost-effective ways to look at offices in that particular environment. How can businesses integrate new technology, to improve communication? David: Integration is becoming more and more common. We’re finding that integrating into common applications such as Office is quite standard, these days. Old legacy systems don’t have that capability. In an event where everyone’s using Microsoft Office, as an example, they might be using Gmail. They’d like the ability to have a look at the contact and see their number and dial out to that particular contact. That is what we’re saying from an integration perspective. For a more sophisticated back end, we might then have the ability to integrate the CRM. You can have screen pops, even the capability of dialling out of Salesforce or any other CRM product. The newer VoIP technologies out there have APIs that allow the integration into Cloud-based products. Integration with the old legacy phone systems, copper-based lines, you just don’t have that capability. That’s another reason why businesses should look at newer technologies because alternately it does improve efficiency within the organisation. Whereas, you’re not going to get that with the old systems.